If you’re Banjo Or Freakout please tell me what the second to the last song you played in Brooklyn the other night, its killin’ me BUT on the other hand I found 2 amazing songs by you. This new Forma uses these soft hypnotic synth sounds that I probably couldn’t imagine living without after hearing them the first time, I love the daze it puts me in. Bvdub never fails me, he always delivers what I want to hear and feel when I sit down and put him on. 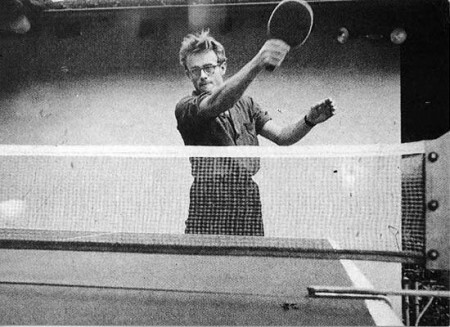 P. S. I can’t find a photo credit for this photo of James Dean playing Ping Pong. Deupree + Bvdub .. Browser Pong Teen Daze+Au Palais..
Great! Since I work a lot on the weekends, I love when you do weekend posts. Thanks! Great selections .. I’ve had that new Forma on repeat for the last few days. Such a good tune to drift away to. That BVDUB track is f**king immense.